New Scotland Clothing Co. is taking the whole “new year, new you” thing pretty seriously in 2018. 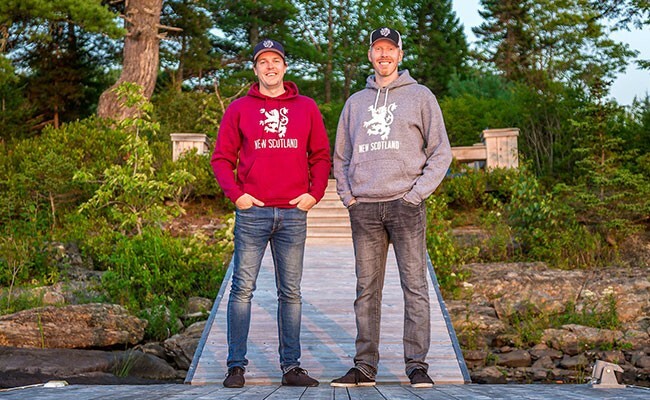 The start-up apparel company, founded by brothers Kevin and Scott Saccary, will leave its tiny spot at 20 Wentworth Street and launch its new flagship location in downtown Dartmouth next month. The new storefront at 102 Portland Street, which is the former home of KEW furniture, will give the Saccary brothers space for more storage and inventory as well as the freedom to add more products and designs to their line. This growth comes on the heels of a big year for New Scotland Clothing, which included international shipping, testing the market at Halifax Shopping Centre and planning for a new partnership and sibling company, New Scotland Brewing (the Saccarys found their new storefront while looking for a taproom location). The shop’s grand reopening will take place Saturday, February 3 and more details on a brewing location should follow (hopefully, says Kevin) soon after. But that’s another story.